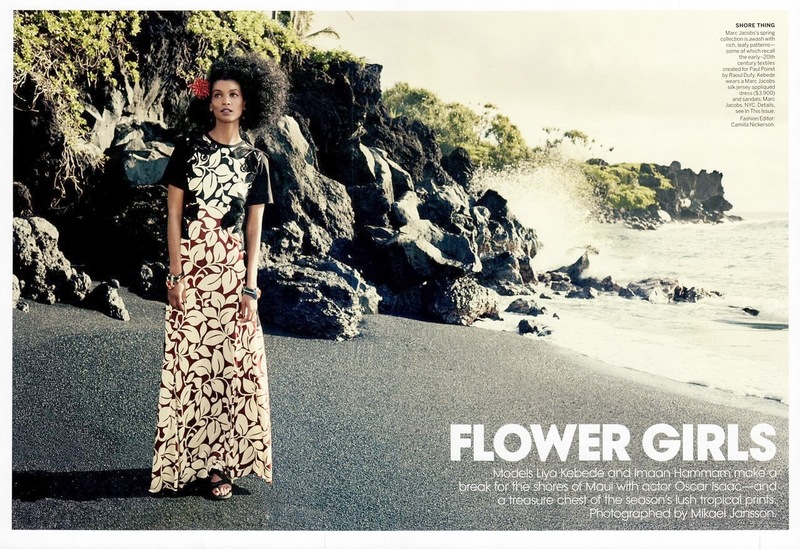 American Vogue unveils a new modelling star in an editorial featuring the iconic supermodel Liya Kebede passing the torch to Dutch newcomer Imaan Hammam. The sixteen year old ingenue of mixed Egyptian and Morroccan heritage debuts with Kebede, captured along the shores of Maui by photographer Mikael Jansson. Hammam displays all the glimmering promise of modelling supernova Kebede who has been championed throughout her career by American Vogue since making her debut in the magazine's June 2001 issue. Discovered at age fourteen in Amsterdam by Marit Simons founder of Code Management, Hammam made her international runway debut opening for Jean Paul Gaultier's Fall/Winter 2013 Haute Couture show. At the Spring/Summer 2014 collections, Hammam left little doubt as to her contention as one of the most promising new faces to emerge in recent times when designer Riccardo Tisci selected the 179 cm statuesque exotic beauty to open exclusively for Givenchy. 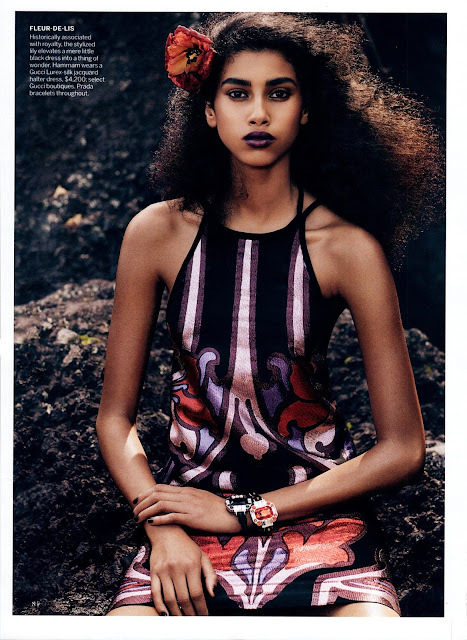 Kebede and Hammam are the very embodiment of modern day beauty styled by Camilla Nickerson in an assortment of vibrant lush tropical print pieces from the collections of Prada, Gucci, Louis Vuitton, Marni, and Marc Jacobs. Hammam's unique ethnic blend lend her an extraordinary beauty, flawless skin tone and bone structure which has American Vogue hailing her as the newcomer to watch out for in 2014.